KUALA LUMPUR (May 12): Tenaga Nasional Bhd's proclamation that its keeness to take over 1Malaysia Development Bhd's (1MDB) power plant does not amount to a bailout has not convinced the investment fraternity, analysts say. 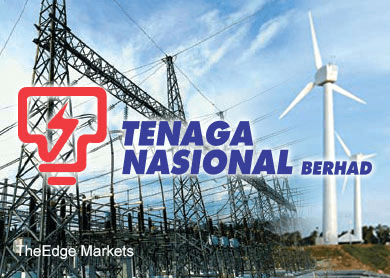 Requesting anonymity, an analyst who spoke to theedgemarkets.com said investors were concerned that state-controlled utility Tenaga's (fundamental: 1.3, valuation: 1.8) interest to take over the 2,000MW coal-fired power plant was akin to a bailout. The project is also known as Project 3B. “People think that the fact that Tenaga was reported to step in to take over the project is, in itself, a bailout,” the analyst said. According to the analyst, until the details are finalised, the proposed take over of Project 3B could pan out any way. The analyst's comments were in response to a report in The Edge Financial Daily (Edge FD) today. Edge FD quoted Tenaga president and chief executive officer Datuk Seri Azman Mohd as saying although Tenaga was keen to take over Project 3B, which 1MDB failed to kickstart on time, Tenaga would not pay a premium for the project. “If anything, we will ask for a discount. They (1MDB) are not in a position to dictate the terms,” Azman said. Azman also said the government had yet to make an offer to Tenaga to take over the project. Meanwhile, another analyst said investors were discouraged by anything related to 1MDB. This followed news on the government's wholly-owned entity's substantial debt to finance its electricity generation and real estate investments. Prime Minister Datuk Seri Najib Tun Razak had earlier this year instructed the National Audit Department to assess 1MDB's financials. The audit department has also been tasked to prepare a report for further action by the Public Accounts Committee. Given the current 1MDB sentiment, analysts were not surprised that Tenaga’s clarification it will not pay a premium for Project 3B did not seem to spark confidence among investors in Tenaga shares. Yesterday, Tenaga shares fell 18 sen or 1.3% to close at RM13.80. Tenaga had dragged the FBM KLCI lower on speculation that the utility had taken over the mandate from 1MDB to construct the power plant. Today, Tenaga shares rose two sen or 0.1% at 12.30pm to RM13.82 for a market capitalisation of RM77.99 billion. Some three million shares were traded. Looking ahead, the analyst said Tenaga was likely to take over 1MDB's Project 3B as Tenaga had the expertise to do so.